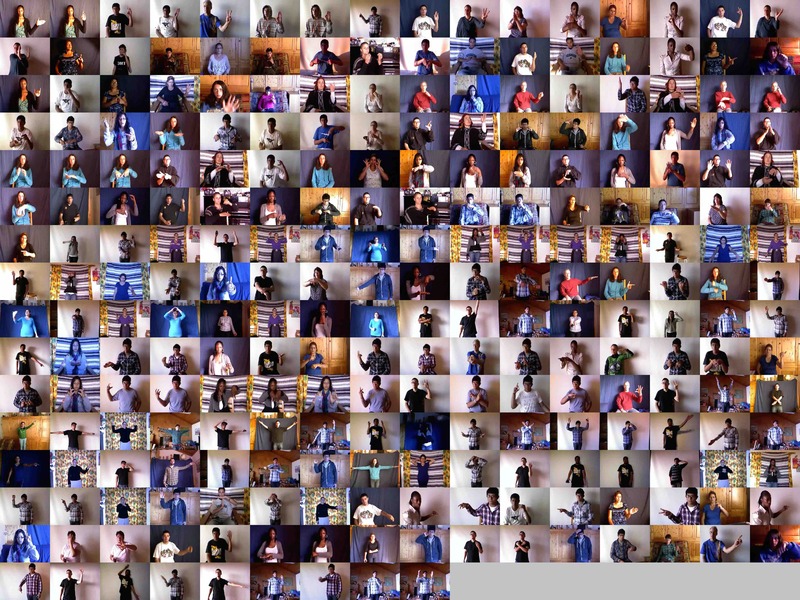 We have built a large-scale gesture dataset for continuous gesture recognition: the Chalearn LAP RGB-D Continous Gesture Dataset (ConGD). The focus of the challenges is "large-scale" learning and "user independent", which means nearly 400 gestures per each class are more than 200 RGB and depth videos, and samples from the same person do not appear both in training and test data (validation and test sets). The Chalearn LAP ConGD dataset is derived from the Chalearn Gesture Dataset (CGD), first used in the "one-shot-learning" contest, which includes more than 54,000 gestures. In this new version, we manually labeled 249 gesture categories and added manually determined temporal segmentation to obtain the start and end frames for each gesture in the continuous videos. The top ranked participant in each track will be awarded and invited to submit a paper for eventual inclusion in the ICCV workshop proceedings (pending acceptance by the reviewers). This database includes 47933 RGB-D gestures in 22535 RGB-D gesture videos (about 4G). Each RGB-D video may represent one or more gestures, and there are 249 gestures labels performed by 21 different individuals. 1) Gesture spotting and recognition from continuous RGB and depth videos. April, 20th 2017: Beginning of the competition three tracks, release of development and validation data, validation labels. June, 21th 2017: Release of encrypted final evaluation data (for facial emotion challenge). June, 22th 2017: Deadline for code submission. June, 23rd 2017: Release of final evaluation data decryption key (for facial emotion challenge). Participants start predicting the results on the final evaluation data. July, 2nd 2017: End of the quantitative competition. Deadline for submitting the predictions on the final evaluation data. Code verification phase. July, 6th 2017: Deadline for submitting fact sheets. July, 23rd 2017: Release of the verification results to the participants for review. Participants are invited to follow the paper submission guide for submitting contest papers. August, 20th 2017: Notification of paper acceptance. August, 25th 2017: Camera ready submission.